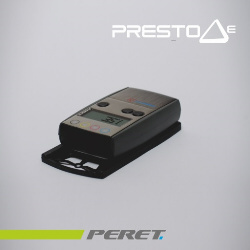 The PRESTO dE is the ideal tool to quickly control the quality of your printing process. It measures density, dot gain, dot area, balance and delta E2000. If you delta E is out of tolerance, check what needs to be adjusted to get closer to your reference by clicking the right key of the device.